Written by my friend Max Junda. He looked up an integral in a table, while I did it by hand with a trig substitution. 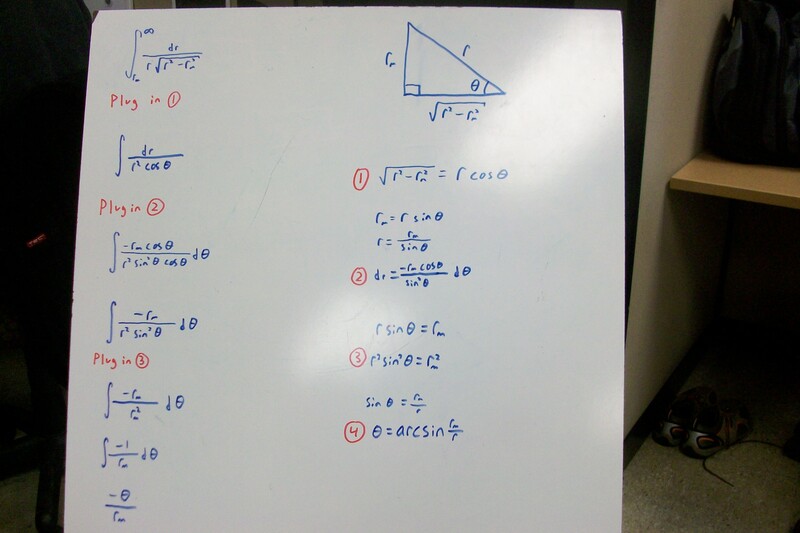 A photo of the integral on my whiteboard is included as an extra file.